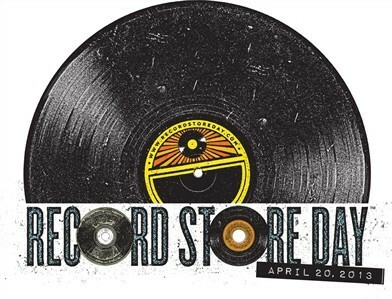 Discussions Magazine Music Blog: HAPPY RECORD STORE DAY! My passion for music may not be legendary, but its pretty apparent to all of my friends and family... and to those who take the time to read my blogs, my liner notes and anything else I put my name to. I'm not the only one who feels this way about music, although sometimes I do get singled out for being into music way too much. At my age (pushing 50), I should have left this all behind me, right? I should have grown up like my friends did and leave these childish things in the past, right? That's what my old friends have done.... music is still a part of their lives, but their lives don't revolve around music. Me, on the other hand, still follow the beat of my own drum (or beat of my own Linn Drum, judging by my love of '80s music!). There are worse things, I suppose. I could have become a drug addict, an alcoholic or a criminal. Or maybe I could have been a success and had loads of money by now. But would I have accumulated all of the musical treasures which I now possess? Who knows? But alas, I am who I am. And the person that I am has always been here to encourage all of you to keep the love of music burning in your heart. I don't want it to be a spark... I want every ounce of passion in your body to be engulfed in flames! I want you to love whatever music you love and let it motivate you. Let it comfort you in times of need. Let it empower you. Let it speak to you and for you. But most of all, let it inspire you. On RECORD STORE DAY, we celebrate something that was almost extinct a few short years ago: the record store. At one point, there were so many in each of our towns that you had a choice which one to visit on any particular day. At that point, you had your favorite store for new, used, imports and oddities. You became friends with the person behind the counter, who would always recommend things to you. Sometimes they were spot on, other times, not so much. But there was someone there to share opinions with, maybe argue with a little, too! There were other shoppers who you may have befriended, friends who shared in the fun of the search right alongside you. 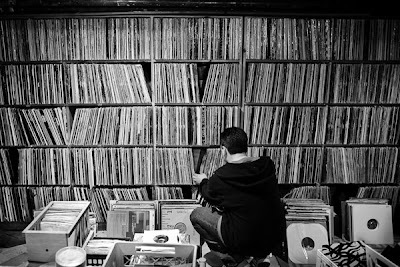 A record store was just as much an escape as it was a destination. .
A magical record store experience was often times less about the treasure and more about the journey. Yes, it was nice to find what you went looking for, but what about all of the things that you stumbled across while searching? Didn't you feel like Indiana Jones in search of the Lost Ark or the Holy Grail? If not, then you weren't doing it right! On RECORD STORE DAY, we also celebrate the joy of owning a physical, tangible piece of 'product'. The happiness of holding an album or CD in your hand while searching through more bins was a thing to be excited about. You had FOUND something already, but you still wanted to go a little longer in search of something equally special or entirely different. There was always something you felt that you NEEDED and you would not stop until you found it. But alas, when you finally did find it, you realized that there was so much more you needed and you kept searching. I've noticed that I've been using record shopping in the past tense in this blog entry. I suppose I think back when we had so many record stores to choose from 20-30 years ago... yet most of them have disappeared over the decades. Thankfully, there seems to be more of an awareness of their existence now, and even the younger generations are starting to pay attention. We can thank RECORD STORE DAY for that. But don't think for a second that this is a U.S. only celebration. RECORD STORE DAY has gone global with other countries getting involved and celebrating what was once one of the biggest industries in the entertainment field. So, instead of stores disappearing at an alarming rate, the strong ones continue to survive and bring the record store experience to all of us. We should support them in their cause and help them stay alive. And please don't think that RECORD STORE DAY is the only day you should go record shopping. Try to make it out there and celebrate the day, of course, but go record shopping as many times as possible. Once a week, once a month.. whatever. 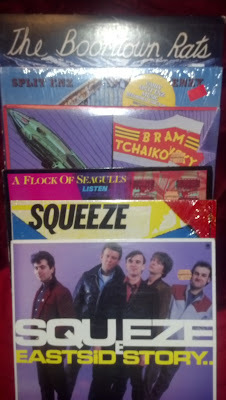 Go to a different record store each time... go to a record swap meet... But whatever you do, just GO! I often use words like 'magical', 'excited', 'joy', and 'happiness' when describing record stores and record shopping in general. Perhaps if you drop what you are doing right now and head out to a record store, then you'll 'understand'! Happy RECORD STORE DAY to you! 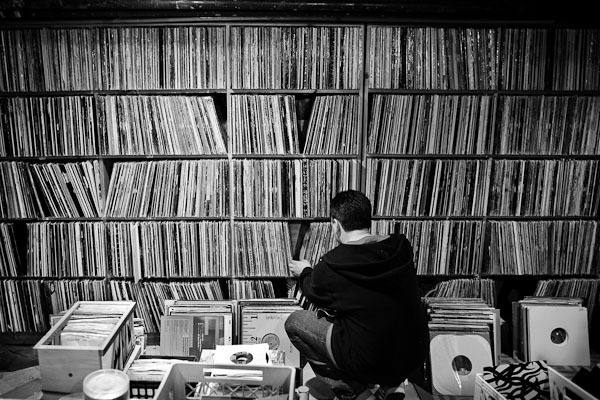 May you look back at all the fun times spent in a record shop and remember how it made you feel. Let's continue to keep that feeling alive! Let's go record shopping!